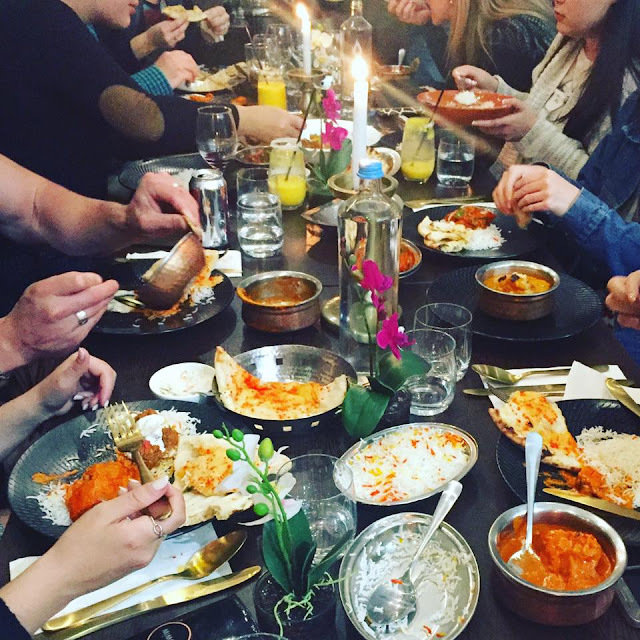 I was recently invited to a menu launch at an Indian restaurant called Joy of India and boy was it joyful; the food, the company and the great service just made my night! Before I get onto the food, I have to share something funny. 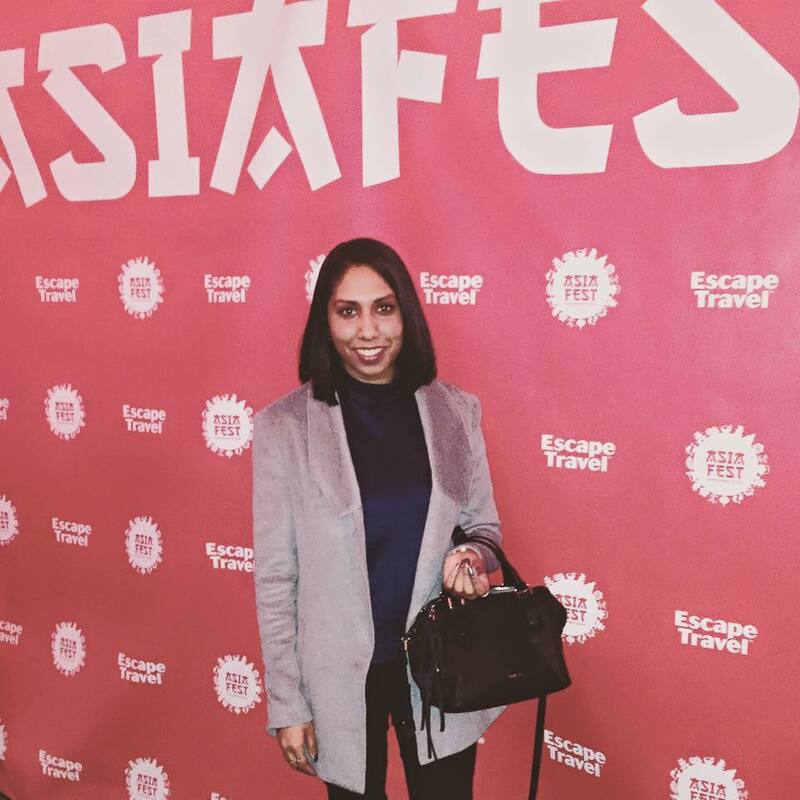 My cultural background is Sri Lankan but people mostly assume I’m Indian and a lot of people think India and Sri Lanka have the same food (like the assumption made by Roxy on last weeks episode of First Dates!!!) but actually they are two different countries with different types of cuisines. Anyway, now to the food…a group of us ordered a range of vegetarian and non vegetarian dishes to share along with garlic and cheese naan and steamed rice. I have to say ordering different dishes and sharing is the way to go at an Indian restaurant. 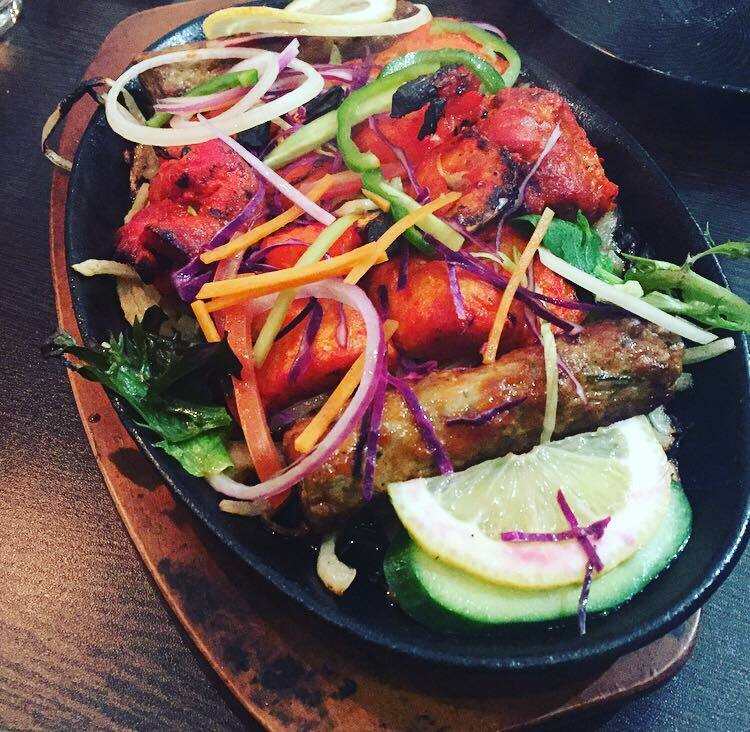 For our entrée we shared a tasting platter of non-vegetarian delights, including tandoori chicken and fish and lamb koftas. The chicken and fish were so tender, they just melt in your mouth. This was my favourite dish of the night by far. 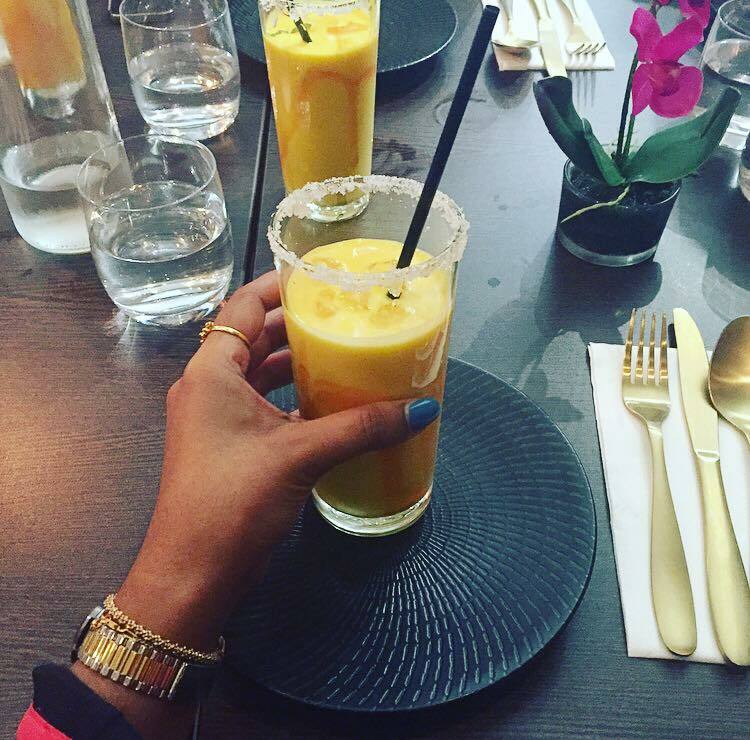 I have to say all the dishes were tasty as well as the drink of choice; Mango Lassi (a must have at any Indian restaurant). So if you’re not salivating already here are some photos…..
Have I got some exciting news for you! I have found my new fave Italian restaurant…. I was recently invited to a media dinner to try their offerings, but not only were we treated to amazing Italian food, we were also spoiled with beautiful hospitality from the Carmine and Co. family including Nona, who actually plays a major role in the kitchen….you know it’s going to be good if Nona is in the kitchen! 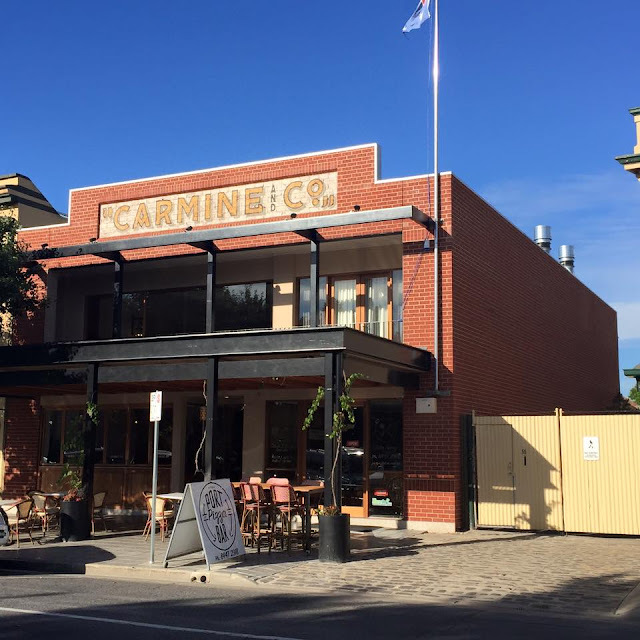 So Carmine and Co. is located in Port Adelaide, on commercial rd, just before the light house. 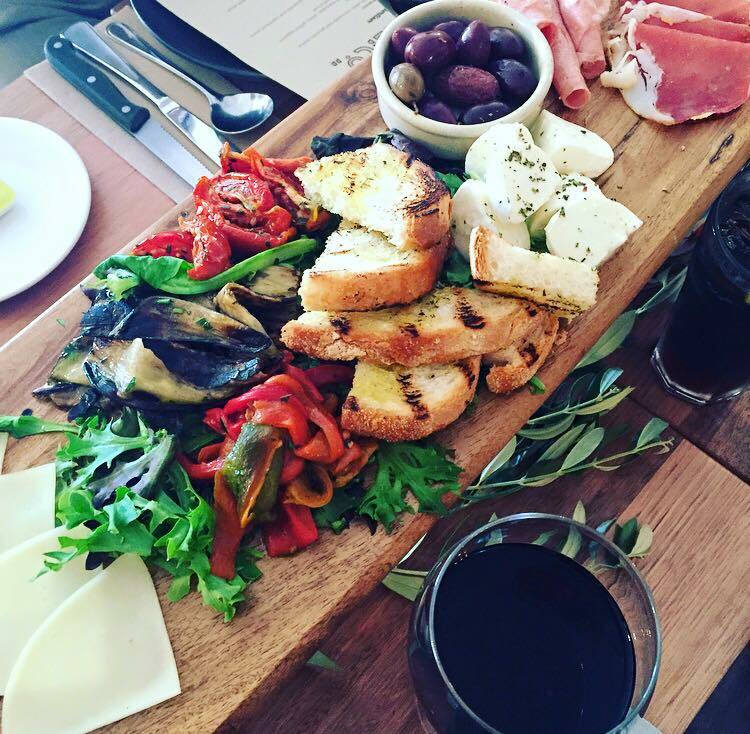 It is a beautiful space that has been designed to bring a little piece of old Italian heritage to Adelaide. The Carmine and Co. family have been in the business for over 30 years, so they definitely know what they are doing. 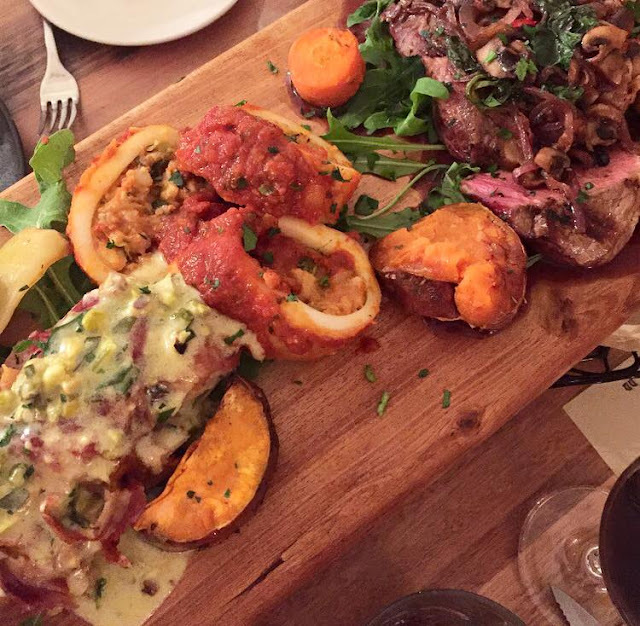 Carmine and Co. is the place to go if you’re just plain hungry! 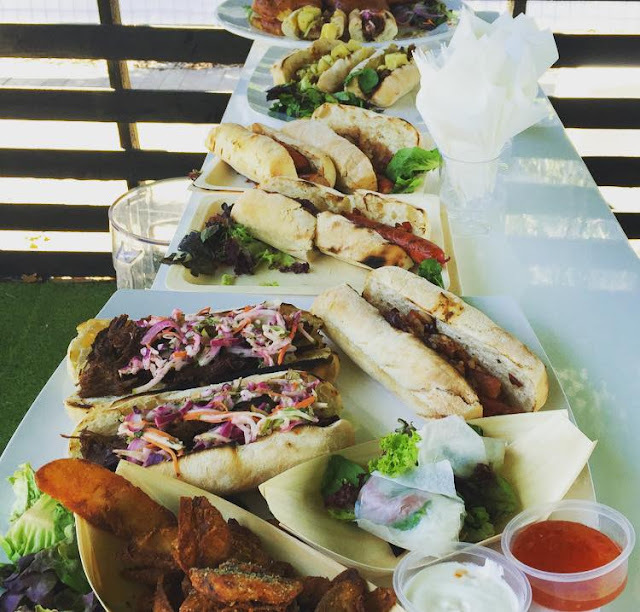 Go with a group and get some platters to share (as you’ll see below). 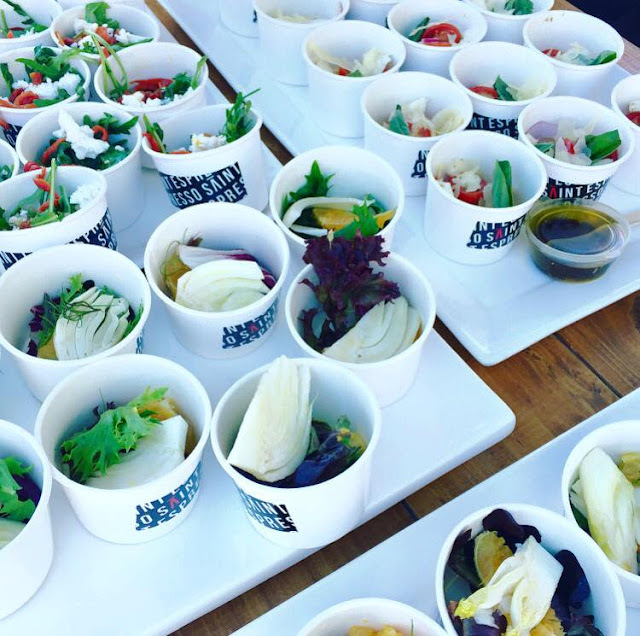 There’s so much food and lots of tasty options. I loved everything I ate especially the eggplant parmigiana, makes my mouth water just thinking about it. All the savoury dishes were great, so my expectations were raised re. dessert. 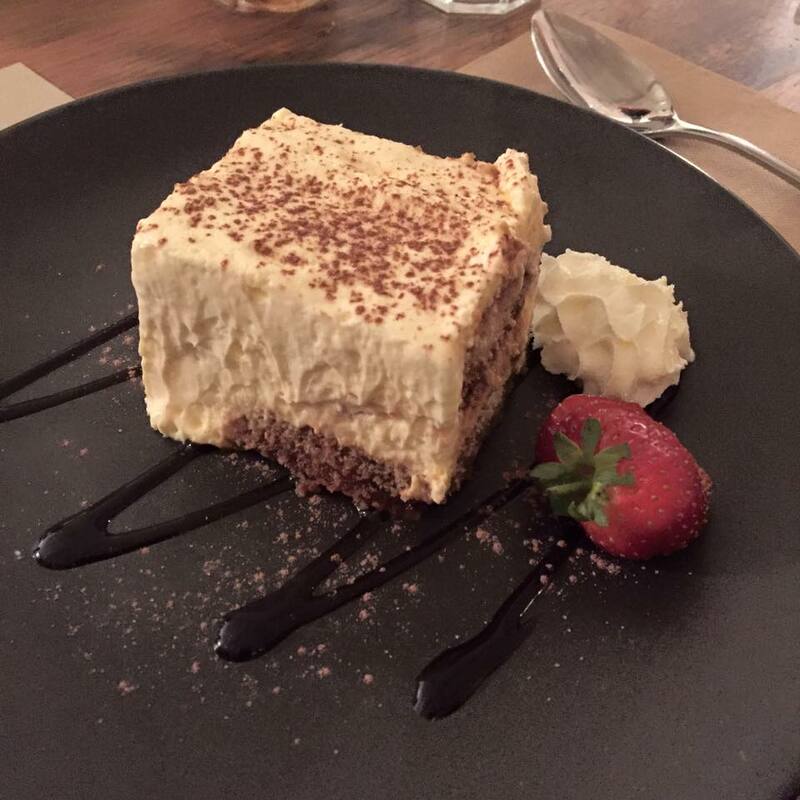 On the menu for us to try was the tiramisu and zeppole. 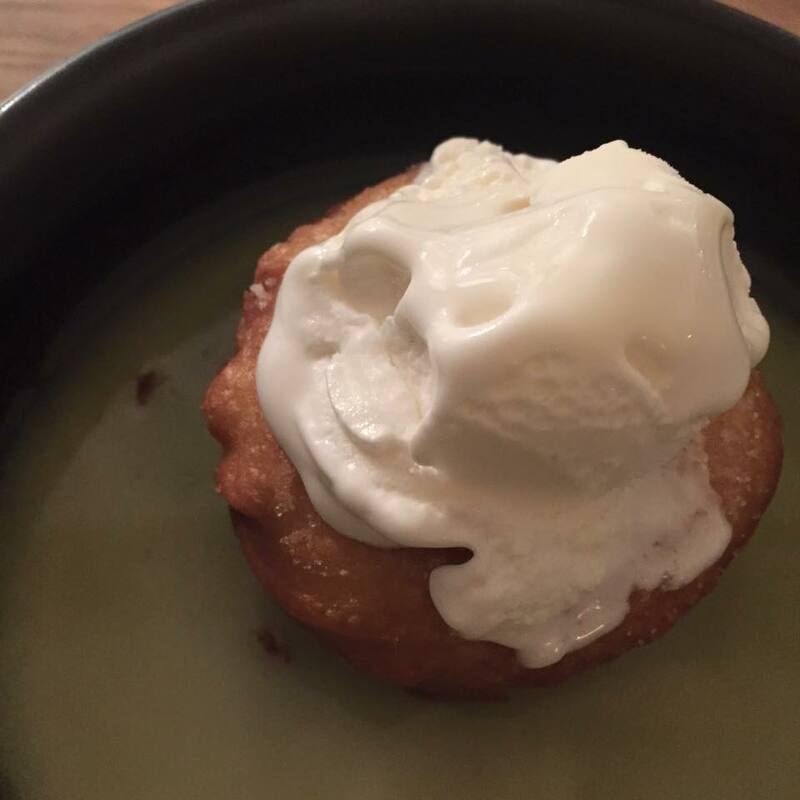 Oh my I was not disappointed at all, I have to say the zeppole is the reason why I will be going back to Carmine and Co….the mix of the soft doughnut with the lemon butter sauce and homemade creamy vanilla ice cream…yum yum yum….you should have seen my face after eating this. The Tour Down Under brings together the best of the best in the cycling world, but what you might not know is that the tour is not all about the bikes and cyclists, there’s also something for all of you foodies out there. 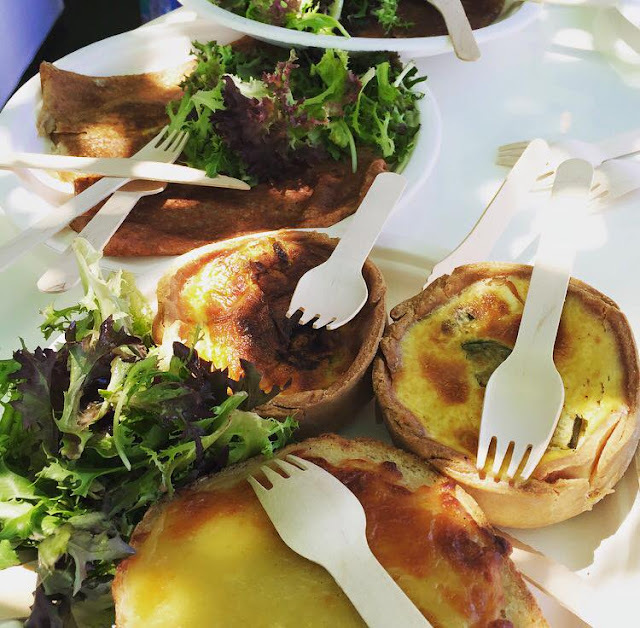 I was invited to check out the food on offer at this years village, as well as watch a cooking demo by the host of River Cottage Australia; Paul West. Paul West shared that he didn’t even know how to make fried rice, but after training as a chef at the age of 23 at Vue de mond, the best restaurant in the country at the time, he learnt so much. Paul was growing produce before becoming a chef, he decided to train as a chef because he wanted to complete the cycle (no pun intended) of creating food. He was working 90 hour weeks at glamorous fine dining restaurants, but hated the amount of work he had to put in for hardly any reward. Not long after he decided to apply to be the host of River Cottage Australia, and out of 1200 applicants, he landed the role. He believes that he got the job because he was a real Aussie guy growing produce and cooking with it. 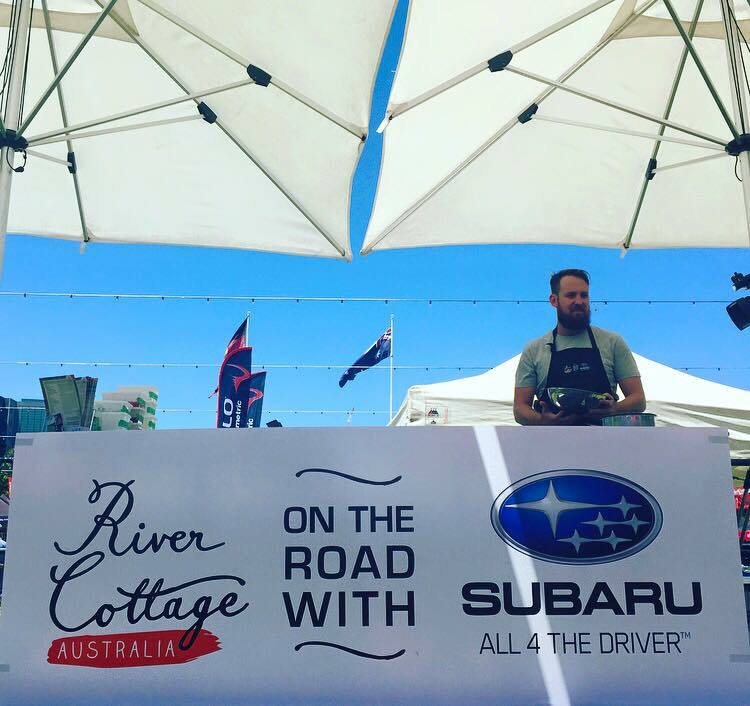 Paul is here in Adelaide with Subaru, hosting cooking demos at the Village….I highly recommend checking him out. 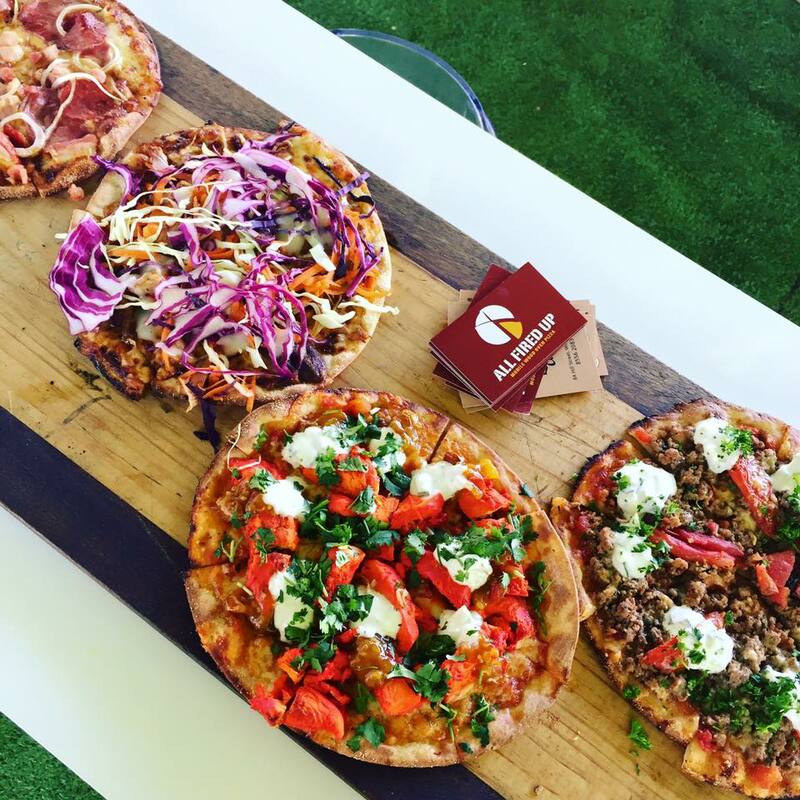 Also in the village are some food stalls including, Coal cellar & grill, Kerou and Co, Veggie Velo, Saint Espresso, All Fired Up Pizza, and 48 flavours. 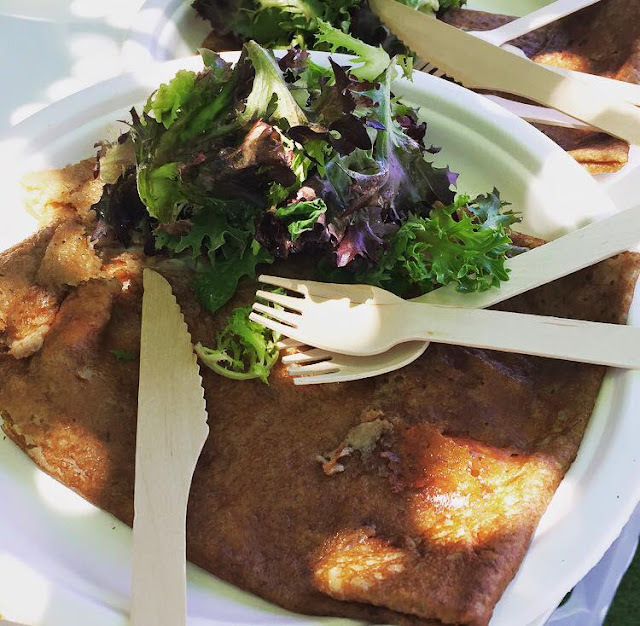 There are so many yummy food stalls, so why not check out the village during your lunch break…that’s what I did! 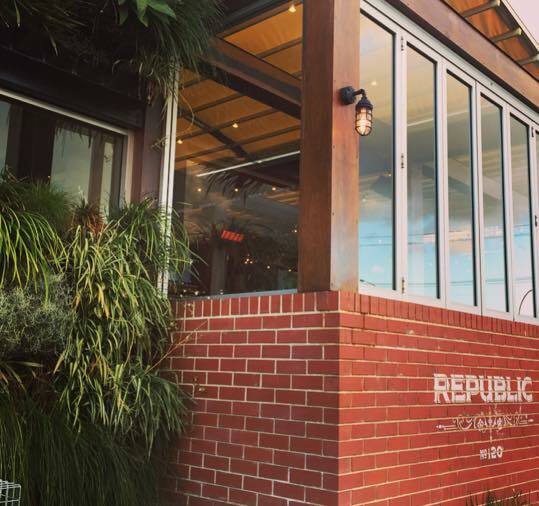 Republic recently launched their new spring menu and I was invited along to have a taste of the new offerings. 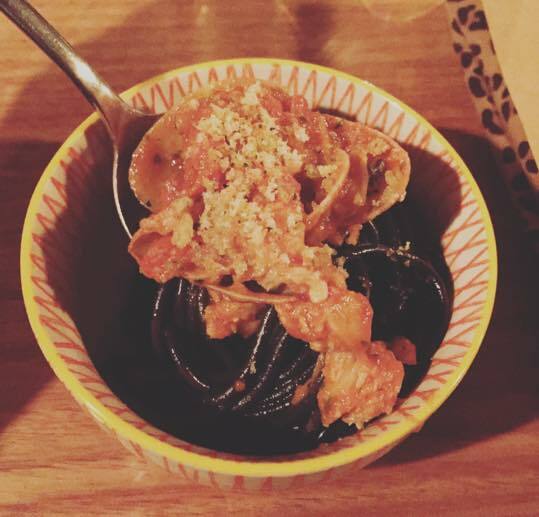 The menu has an interesting range of dishes, from beetroot carpaccio to squid ink spaghetti, there’s something to suit all taste-buds. To my surprise is really enjoyed the beetroot carpaccio, it was like really thin pickled beetroot, it had a slight tang, but was also a little sweet and crunchy, its a great starter. 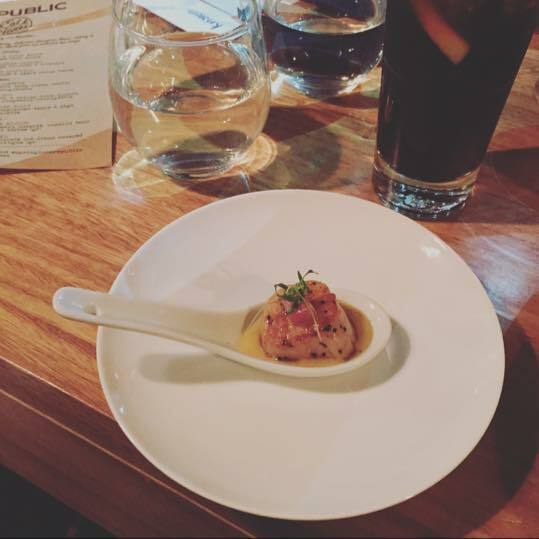 Other dishes I enjoyed included the scallop and house bacon with sweet corn puree and dessert of course…Dark Chocolate Mi-Ciut….what is this you ask? 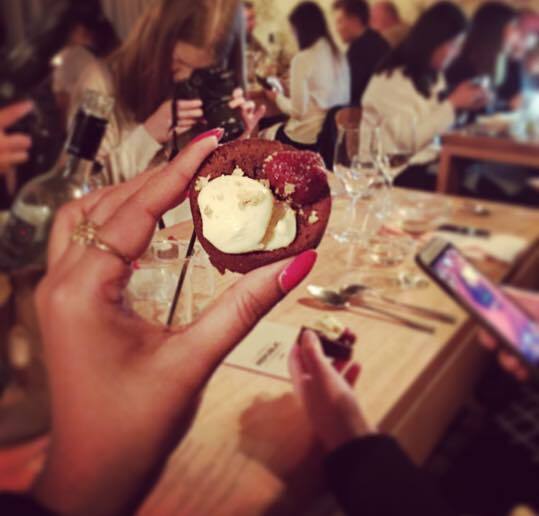 It is the fancy name for flourless chocolate cake, which came with strawberry compote, vanilla bean ice-cream and hazelnut toffee….yum! 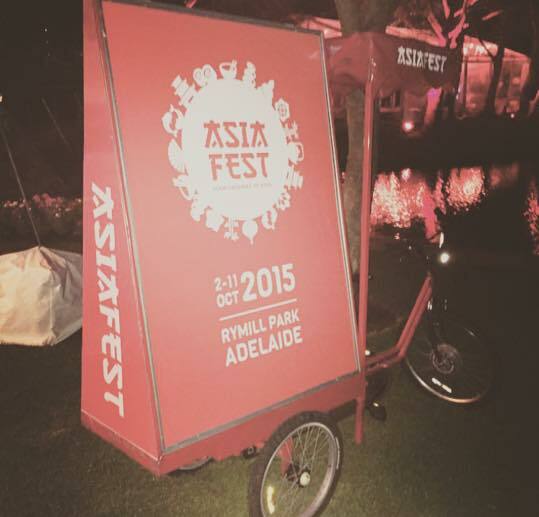 For those of you who missed out on Asia Fest last year (myself included), I am so excited to share with you that Asia Fest is coming back to Adelaide this October! 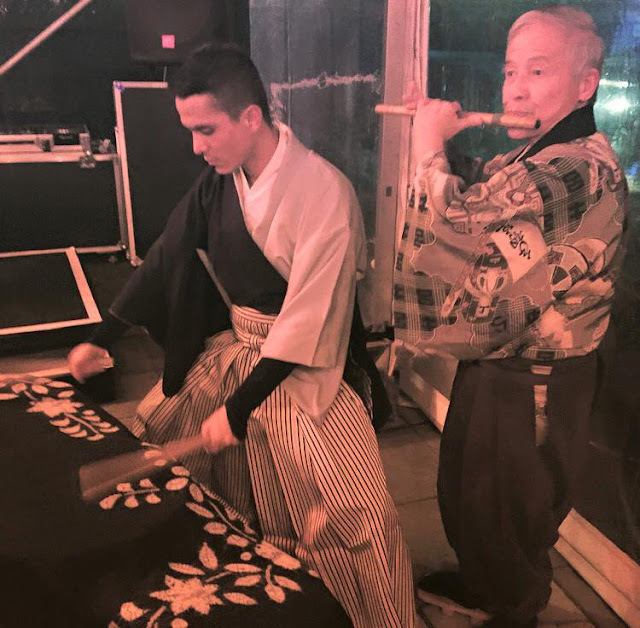 Asia Fest 2015 will spread over 10 days and promises to take guests on a journey to Asia, for those of you who have never been to Asia, you’re in for a treat and for those of you who have been but want to go back, here’s your chance. 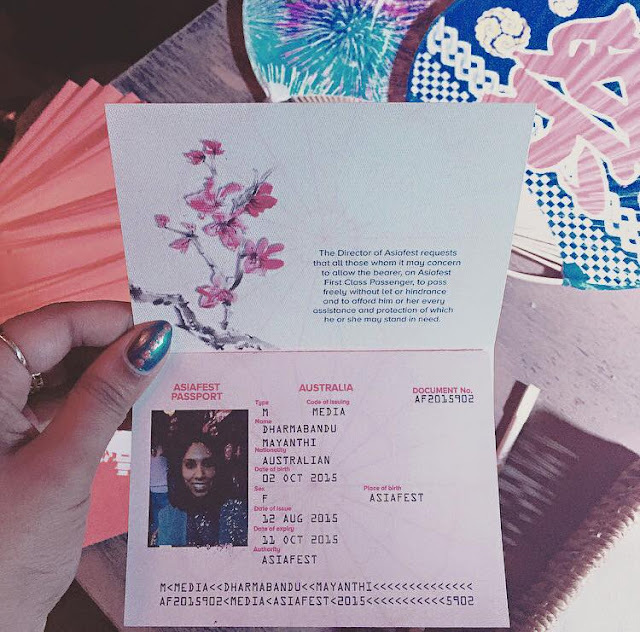 From the 2nd to the 11th of October, Rymill Park will be transformed into 5 different countries; Korea, Japan, China, Vietnam and Thailand. Last week, Asia Fest organisers gave media a taste of whats to come, from the food, music and cultural performances, there will be something for everyone. 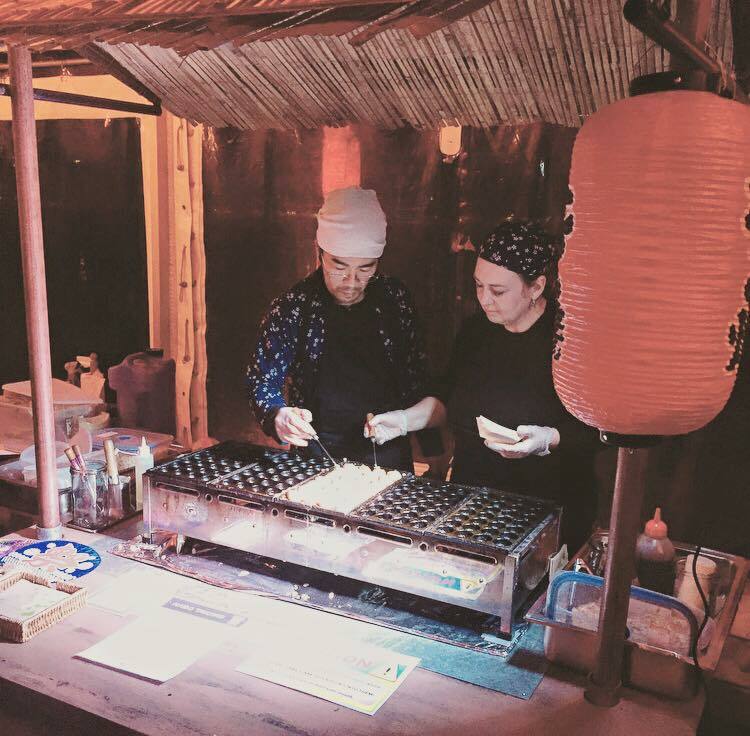 Over the 10 days we will be able to experience Asia in Adelaide including back street markets, garden cinemas, floating markets, a karaoke container and much much more. I can’t wait till October 2nd, and I’m sure you can’t wait either…to enter you must purchase your passport and you have a choice between going economy, business or first class…If I was you I would definitely go first class as it comes with perks! Don’t you hate it when you get that feeling when you just want some tasty, hearty food but can’t be bothered cooking and then you just end up eating something that’s really not good for you…lets not name names!…..It happens to me all the time. But guess what! It doesn’t need to happen anymore because I want to share with you a delicious new Vietnamese restaurant that has opened its doors in Adelaide….Mai Kitchen. Mai Kitchen and Lee from Adelaide Food Central invited a group of us bloggers to have a taste of their delicious offerings and delicious it was! 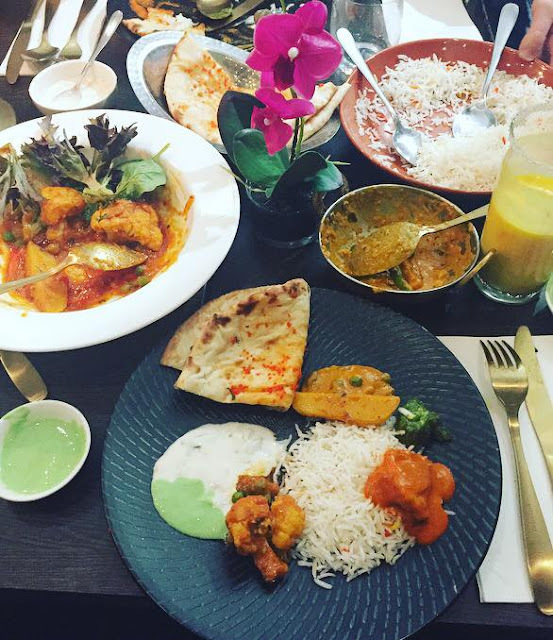 We ordered a range of entrees, mains, desserts and drinks. 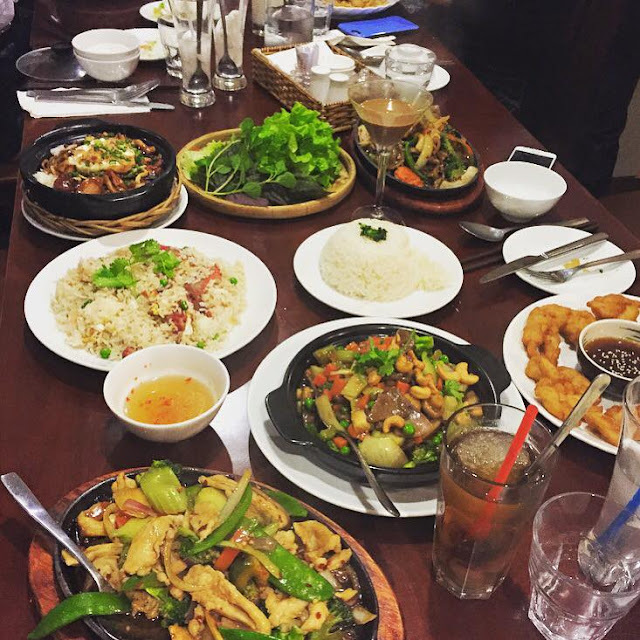 I had Hanoi spring rolls, sizzling chilli chicken, fried rice, banana fritters and a refreshing coconut juice. 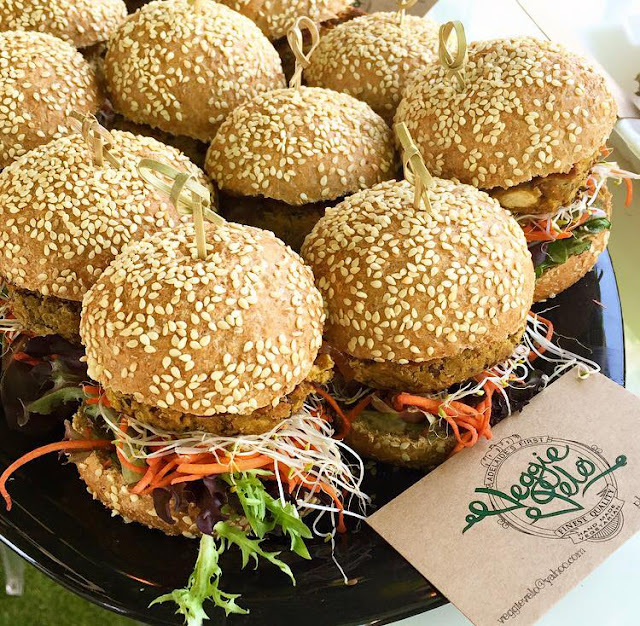 I have to say I loved it all, everything just tasted so authentic and they weren’t stingy on the serving size either, in fact they were actually too big, which meant we got to take doggy bags home! 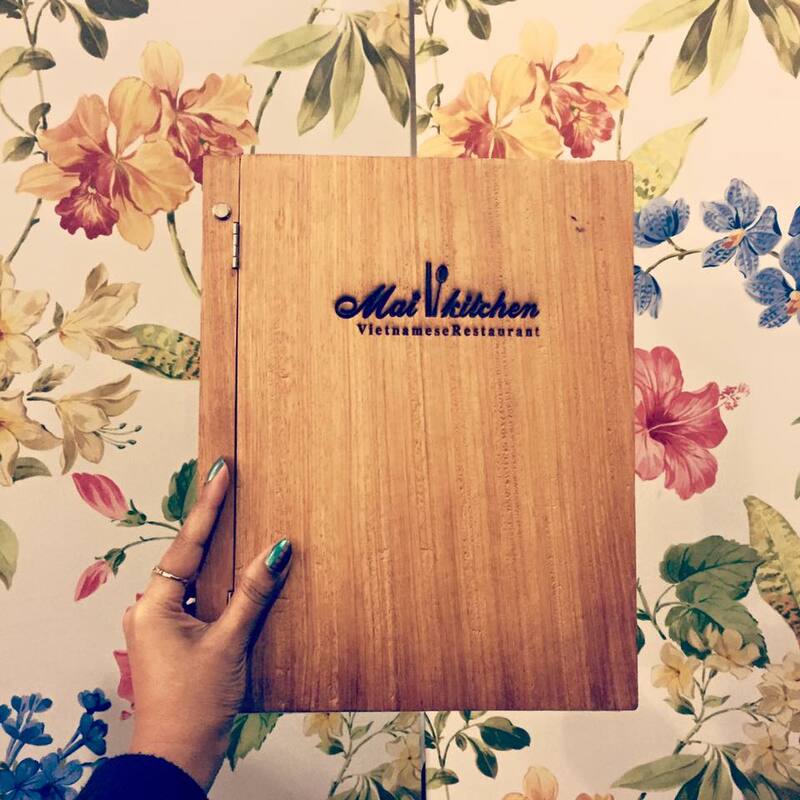 Something that also needs to be mentioned is that they have a dedicated vegan menu, I love when menu’s are all-inclusive. My favourite dish of the evening was the Hanoi spring rolls (see below). 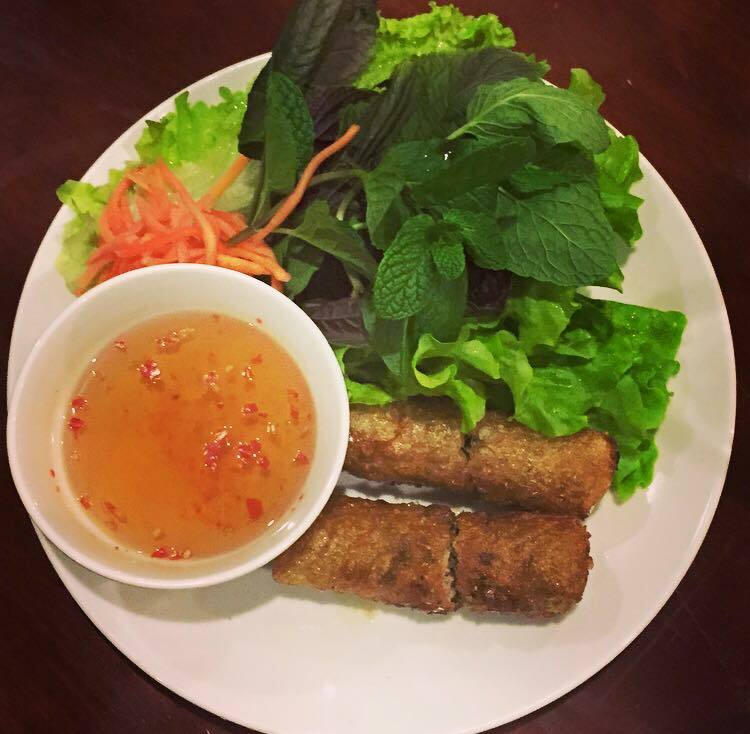 The different textures and flavours of this dish were just heaven…crunchy coat, mince filling, wrapped in crisp lettuce, and showered in the famous Vietnamese dressing…yum! I’ve been craving it ever since! 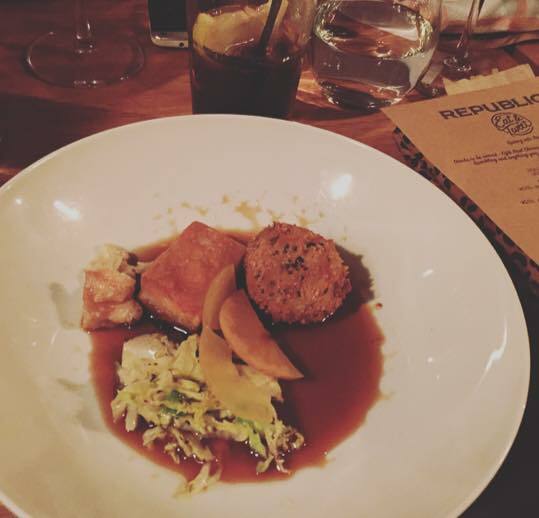 Not only was the food delicious but the service was great as well, everyone had a smile on their face which I really appreciated, and the owner mentioned to me that “the customer is his boss”…isn’t that just lovely! 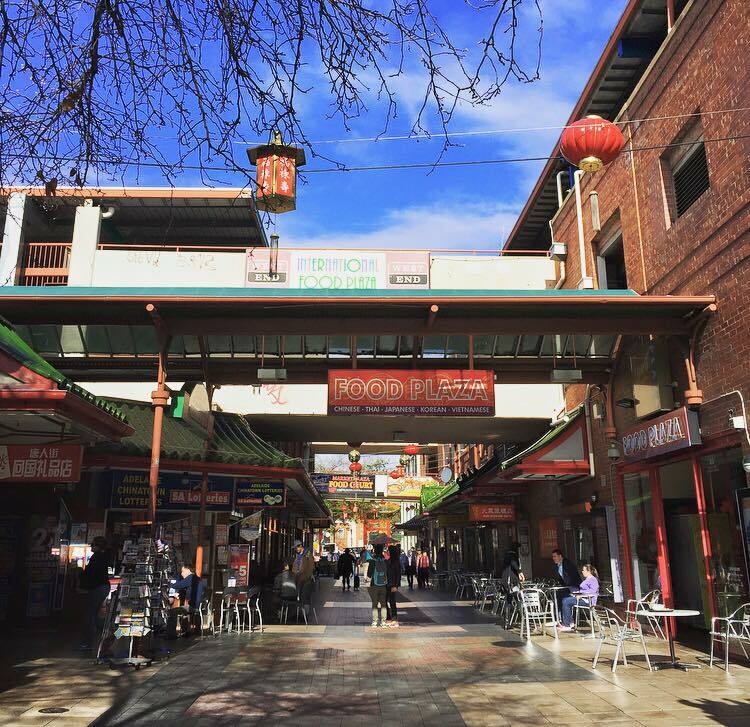 Chinatown, Adelaide is a mecca for tasty, wholesome food, from the Central Markets to the endless alleyways filled with hidden gems, there’s definitely going to be something to suit everyone’s tastebuds. Now that I work just down the road from Chinatown, it has become my daily lunch destination, so I thought I would share with you a few places that I have been loving, both sweet and savoury! Located within the arcade is a little whole-in-the-wall bakery called; Nanna Hot Bake, this little shop has been a favourite of my families for years, and never fails to deliver the most soft, fresh, tastiest buns filled with various fillings from chilli anchovies to pork and even coconut. 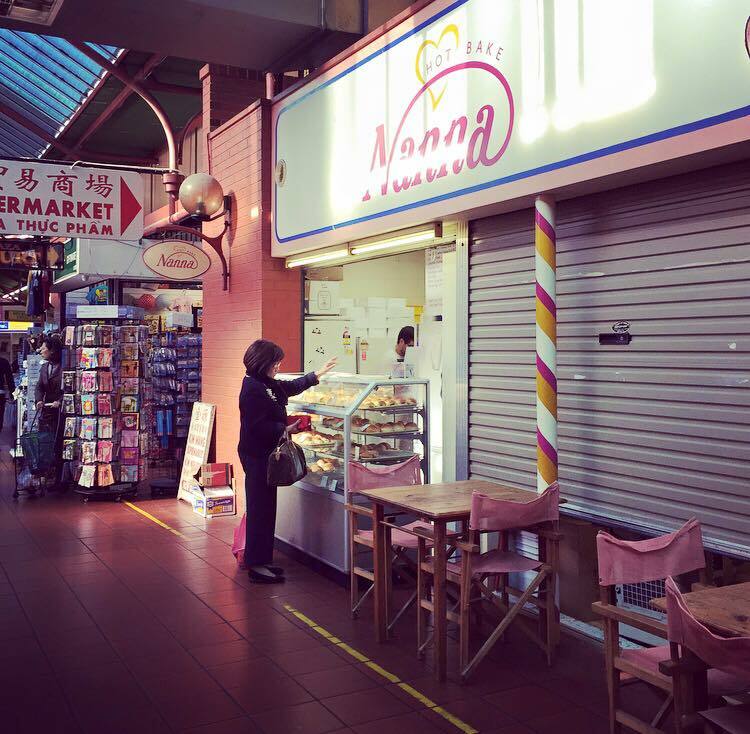 It’s a great place to visit for a snack before embarking on your market shopping. 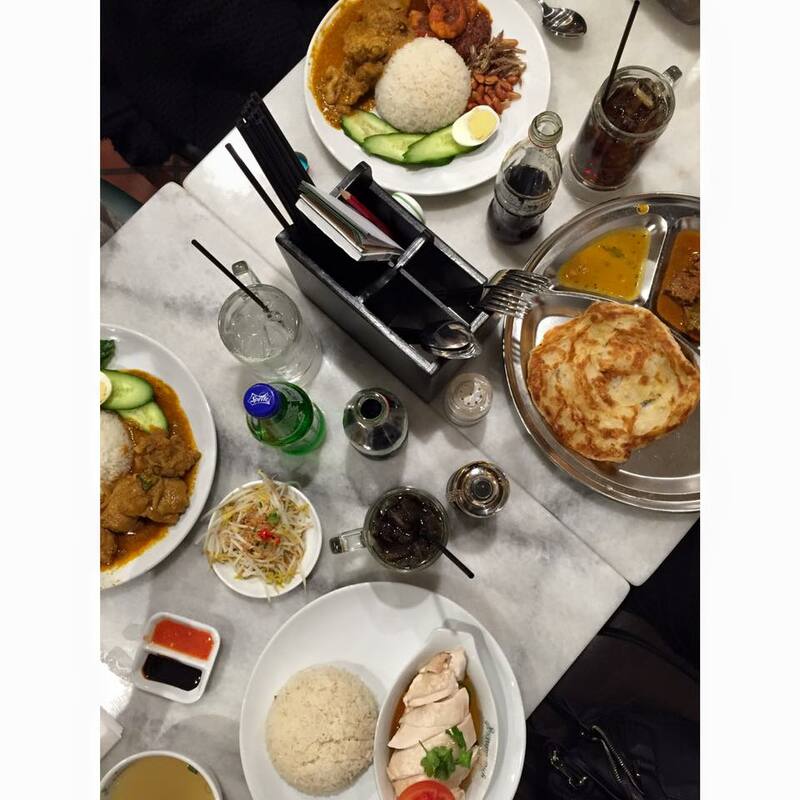 PappaRich is fairly new to Adelaide, but for at least a month or two after opening their doors, there was always a line of hungry people waiting to get their hands on their delicious Malaysian offerings. I have to admit I was one of those hungry people waiting in line for at least 20 mintues, but it was definitely worth it. Fast and friendly service just adds to the experience, I can’t get enough of the place! 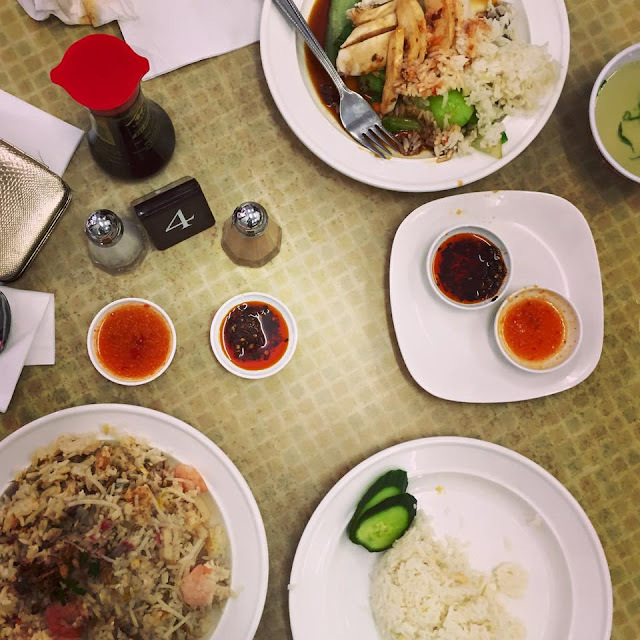 Chinatown Cafe is another major fave lunch spot for me and many others, just going from the busyness of their lunchtime service. 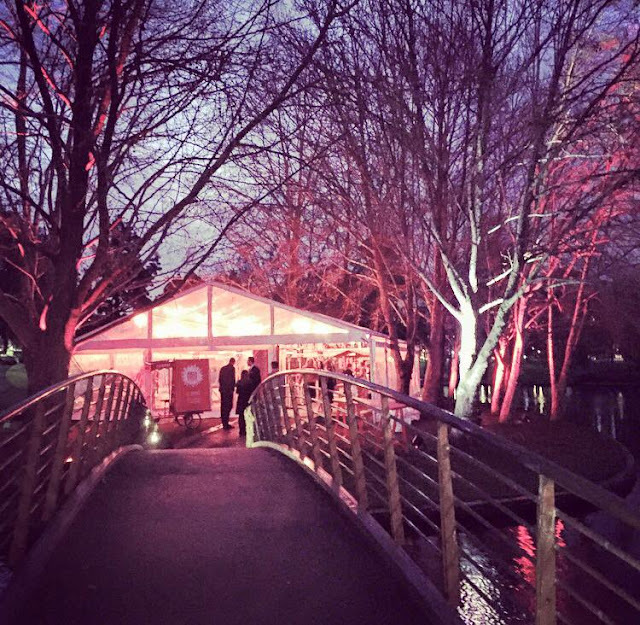 You’re lucky to get a table or even find a place to stand inside. Their food is so yummy and the portions are not stingy at all, also the condiments, incuding garlic chilli, hot chilli, and soy sauce just finish of the meal perfectly…just thinking about it makes me salivate! And to finish of we must have dessert! 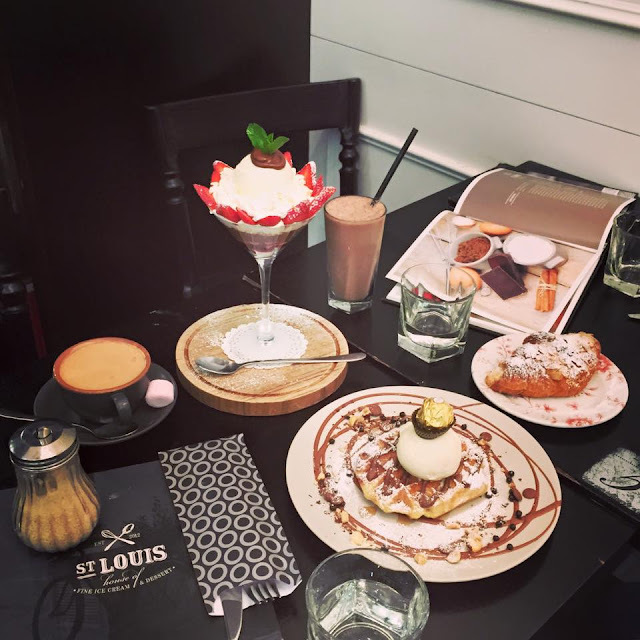 St Louis is my favourite dessert place around Chinatown and my favourite waffle place ever! Their selection is huge and each dessert is served so beautifully. It’s a cozy little place, great for dessert or after dinner tea/coffee with friends. My waffle consumption amount has grown hugely since I was introduced to the place, but I just can’t help myself! 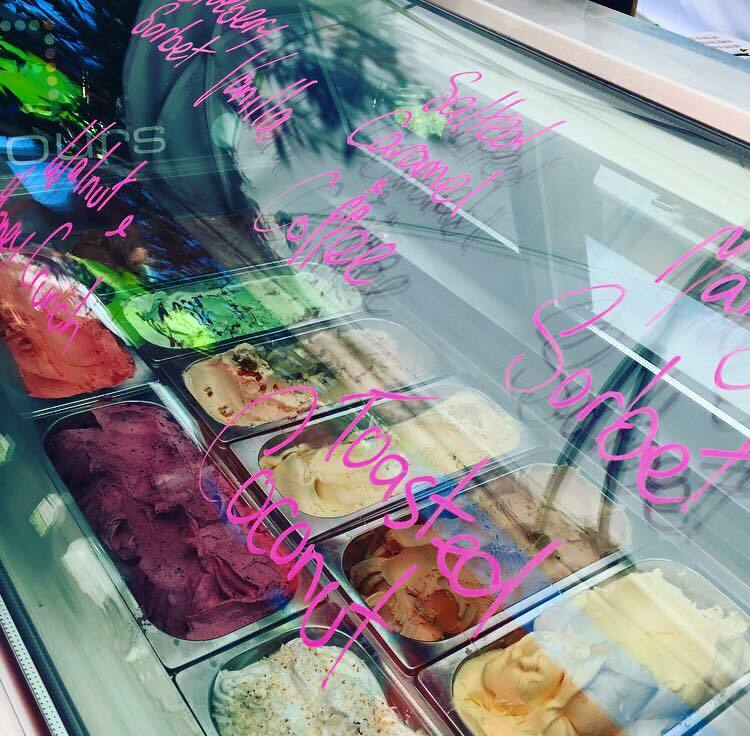 Here are few photos to get you salivating also!